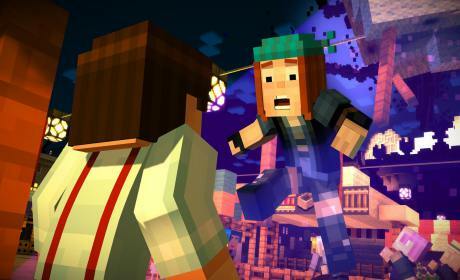 in Minecraft Story Mode the player leads the player character, Jesse. Jesse can be male or female, it’s on your choice. Jesse has two friends: Axel and Olivia, and also there’s Jesse’s pet pig. they are a talented teams of builders. but series of horrible events at EnderCon cause releasing Wither.Wither is a huge creature that threatens everything that exist in the world, jesse and his/her friends must protect world of minecraft from it! In this five part episodic series, play as either a male or female hero named ‘Jesse,’ and embark on a perilous adventure across the Overworld, through the Nether, to the End, and beyond. You and your friends revere the legendary Order of the Stone: Warrior, Redstone Engineer, Griefer, and Architect; slayers of the Ender Dragon. While at EnderCon in hopes of meeting Gabriel the Warrior, you and your friends discover that something is wrong… something dreadful. Terror is unleashed, and you must set out on a quest to find The Order of the Stone if you are to save your world from oblivion. 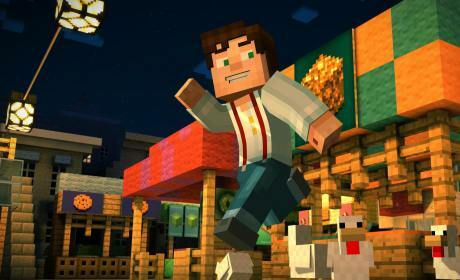 Guys, Teltale Games only released episode one , you need to wait until they release the following one. everything is in here! ? Yo, it seems that your links are broken, fix them? After updating the game to 1.33..I’m getting telltale validation error. Don’t know how to fix this. What is this full episode ? My devices GPU is Mali on my DingDing devices I downloaded mod apk,I place the obb in the right place when I opened it,it crashes on google login,I look the update on the playstore it says (EMAIL SIGN IN CRASHES BUG FIX) I tried to disable the Google Sign In.It works but CRASHES AGAIN ON STARTED UP. 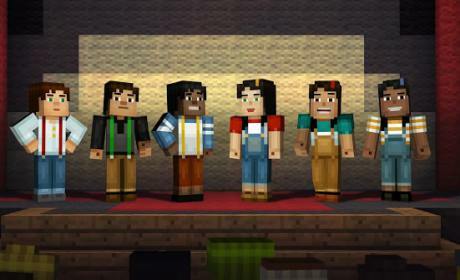 Admin do the minecraft story mode for andro is unlocked?? But where is the mod files??? Can you please tell me what is this names. Is that unlocked all stage?? It has only 3 episodes could u plz upload data for ep.4.thx. should i download data and obb file? Is this the 5 full episodes then ?